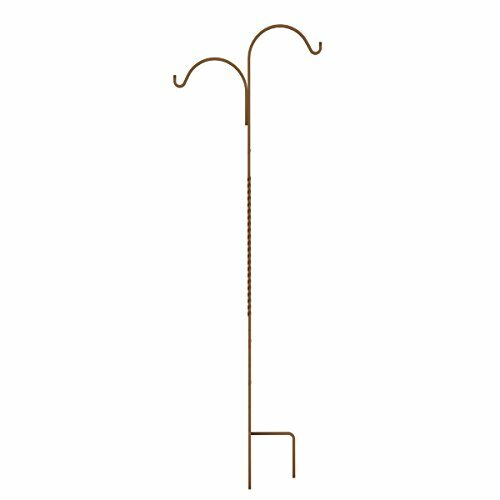 84" Rustic Double Offset Twisted Wire Shepherd Hook Add colonial charm to your garden! Holds 2 hanging baskets, bird feeders, or lanterns in your garden. Heavy duty think steel - Approximately 1/2" 2 prong feet for added stability. Add colonial charm to your garden! Heavy duty think steel - Approximately 1/2"